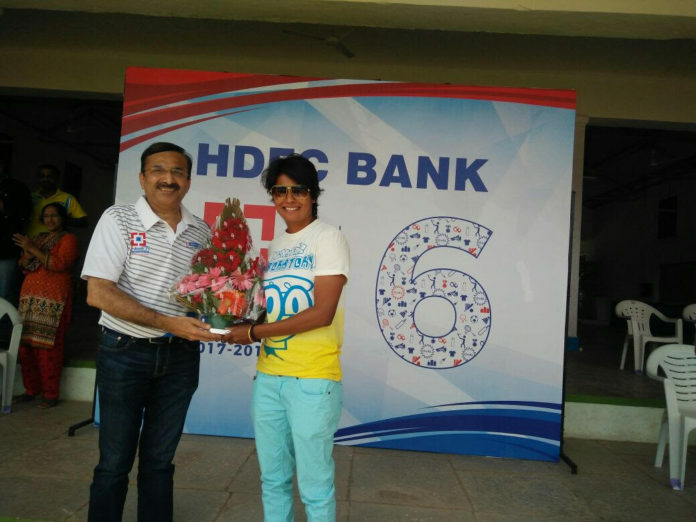 Hyderabad: HDFC Bank Ltd., launched the 6th edition of its annual sports competition for its employees in Hyderabad. This event, known as Josh Unlimited, is a platform for the bank employees to participate in multiple sports such as Cricket, Football, Badminton, Athletics, Carom, Chess, Volleyball, Box Cricket, Lagori, and Table Tennis, among others. The competition will be organised in 29 cities across India. The event in Hyderabad was held at South Central Railway Sports Association, RSC Ground in Secunderabad. Over 400 employees and their families participated, from Hyderabad as well as neighbouring towns such as Warangal, Nalgonda, and Medak. Josh Unlimited was inaugurated by chief guest Ms. Nooshin Al Khadeer, Coach – Level A, BCCI and Mr. Madhusudan Hegde, Branch Banking Head – South, HDFC Bank in the presence of all the participants and senior bank officials. Josh Unlimited is one of the largest sports events for employees in the country. Last year, more than 17,000 employees of HDFC Bank participated in the competition held at 27 locations over a period of five months.